For the purposes of the list, I have excluded vistas along the Everitt Memorial Highway, since they are either closed off much of the year or conditions can, at times, block access. They can also be quite busy. 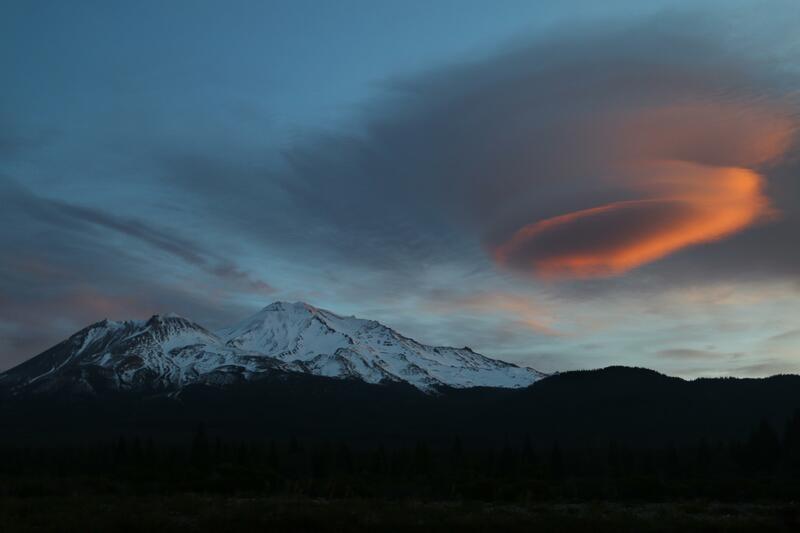 The great cone of Mount Shasta is nearly ubiquitous wherever you go in Mount Shasta City. Nonetheless, it remains difficult to get a good view of the mountain without any man-made features interfering. Whether signs, power lines, or homes, something unnatural always seems to be interfering. For simple enjoyment of the mountain, these are not big obstacles but if you are trying to photograph the peak or simply attempting a contemplative moment as the sun sets and the mountain is aflame in pink and orange the intrusion of man-made objects is frustrating. 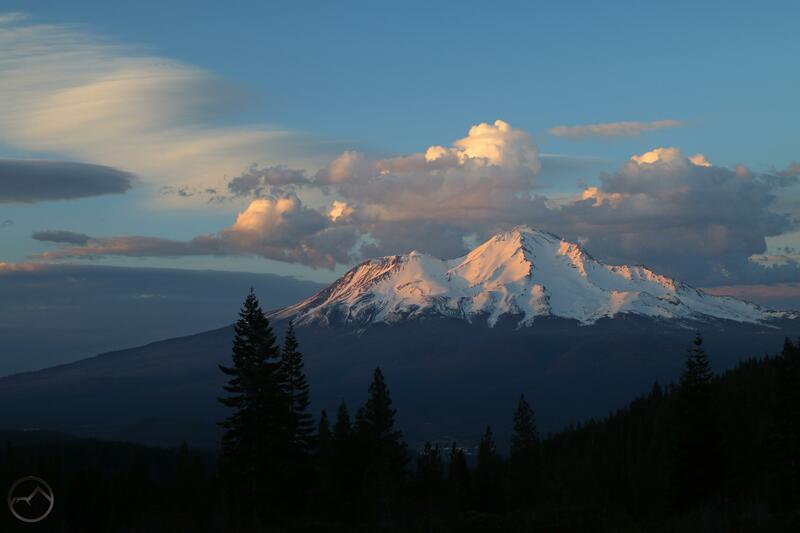 Fortunately, all one has to do is drive north of town on Spring Hill Road to find an incredible spot where Mount Shasta is in full view and only the vast expanse of forest lies between you and great volcano. The proximity of the freeway can be a bit annoying at times but I have found it is easy to quickly tune it out and focus on what demands attention. 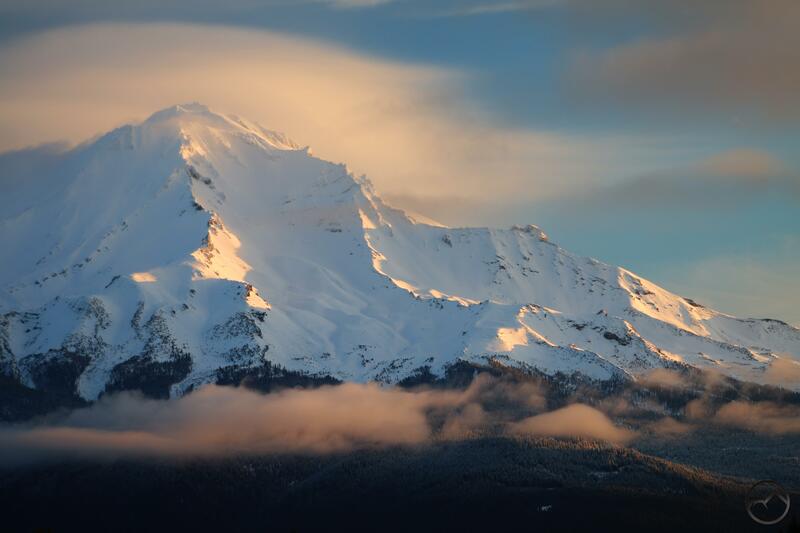 Mount Shasta is an almost overwhelming presence in the Shasta Valley. At times, it seems like a list of places in the Shasta Valley where you can’t see Mount Shasta might be more interesting in useful. No matter where you drive, the alpine pyramid seems to be towering to the south, its great bulk in harmonic balance with Shastina, its great subordinate volcanic peak. Indeed, the view from the north is particularly pleasing since the two peaks seemed to have worked out how to appear together in magnificent fashion. However, while there is no shortage of places to see the mountain from the valley, there are not many places where one can easily park and enjoy the view from a natural setting. Enter the Shasta Valley Wildlife Refuge. Operated by the state of California, it is an island of undeveloped land in the sea of the Shasta Valley’s agricultural production. It is an awesome spot, loaded with high desert charm and boasting a staggering view of the great mountain. While the views are great from many places in the refuge, head to the Trout Lake trailhead to enjoy the sunset from an optimal setting. One of the most spectacular vistas of Mount Shasta is the view from Heart Lake. The mountain’s reflection in the diminutive lake is unforgettable and during sunset it is nearly unbeatable. However, it is not a good spot for a quick trip up since it requires a hike. That fact should not be a deterrent from making the trip up to Heart Lake but sometimes it is just not going to work. When this is the case, there is a great spot one mile before the end of the road at Castle Lake to pull off into a gravel pullout and enjoy a truly outstanding view of Mount Shasta. Though it does not have the symmetry and beauty of Heart Lake, it is an amazing vista in its own right. Instead of the cliffs and lake, one can enjoy a perspective of the mountain that includes the entire rise of the mountain. 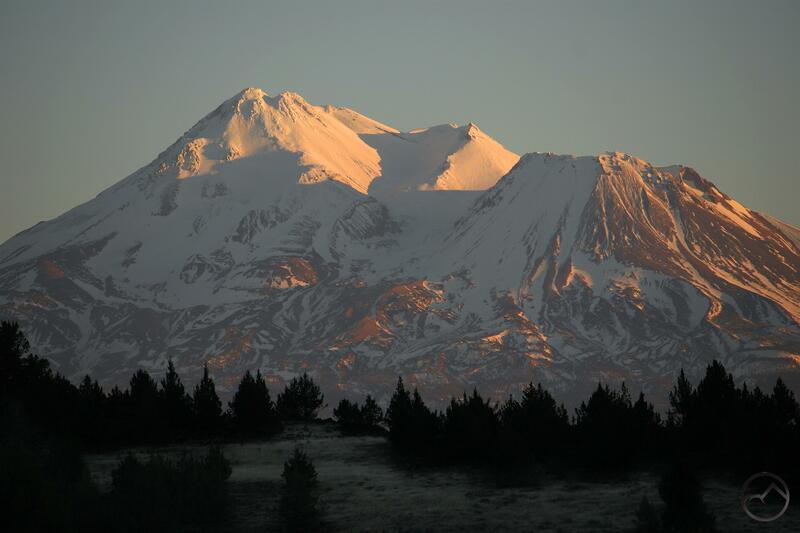 At sunset, the lights of Mount Shasta City are visible far below while the summit of the mountain is lit by the setting sun. The aspect that makes this vista particularly memorable is its higher elevation. It the additional 1,500 feet above town gives a different appearance to the mountain, the top of Mount Shasta taking on more definition when compared to adjacent Shastina. From here the mountain’s relief is striking. A evening spent here appreciating the lightshow of the setting sun is a great exclamation point to time spent around Mount Shasta. Finally got to see this mountain in person as I was driving up to Klamath. It was seriously breathtaking! Its size just continued to grow the further I drove up the 5 freeway.